Prep your forklifts, winter is coming! The days are getting shorter and the weather is getting colder: it’s clear that winter is right around the corner. 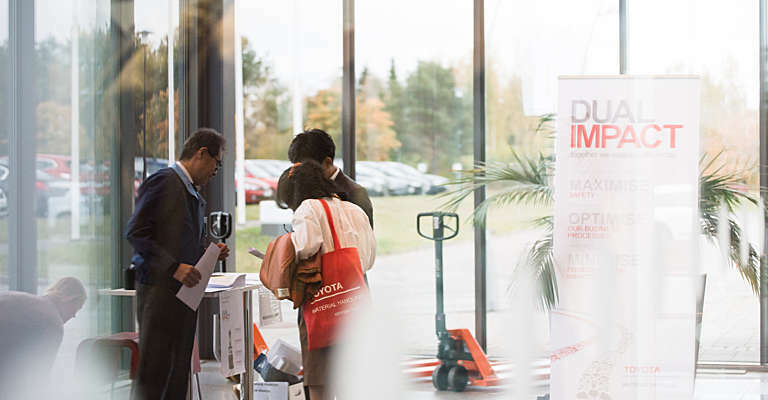 This also affects the working conditions and the equipment used inside and especially outside of your warehouse. But how can you continue your operations safely? 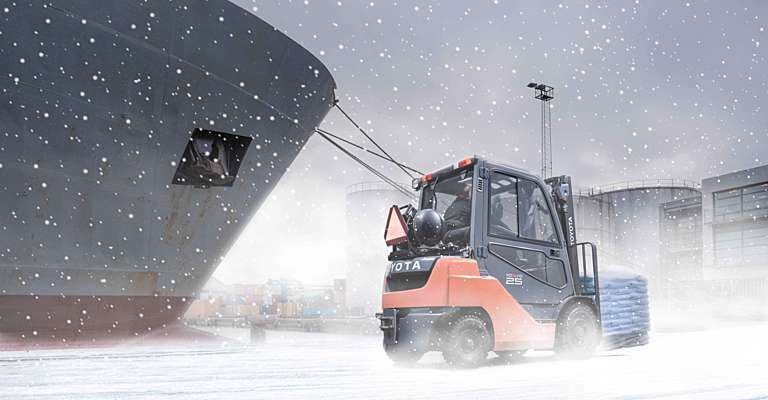 We have gathered some tips & tricks that will get you and your forklifts and drivers through this winter. When working outside of your warehouse, check the weather to avoid any unpleasant surprises and prepare accordingly. Is it freezing? Has it snowed overnight? 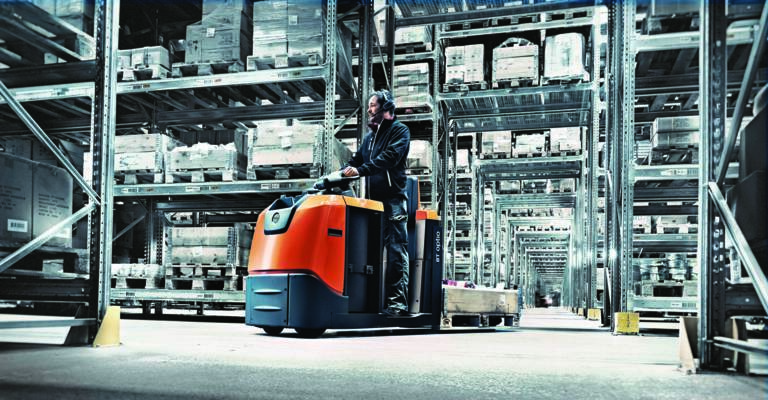 Just in case, when driving a forklift, be careful and only go as fast as conditions will allow – because even inside the warehouse it can be slippery. As the temperature can drop quite a lot during winter, appropriate clothing becomes essential, especially when working long hours on site. Winter clothing should be wind-proof, and also wearing gloves and a hat are not a luxury to protect yourself from the cold. Because of the limited visibility due to the shorter days and the snowfall, it’s also best to wear a high-visibility vest. Not only you, but also your forklifts should be equipped with the appropriate winter attire. An essential item for outdoor trucks is definitely winter tyres: pneumatic tyres and tyres with chains guarantee traction and stability on slippery surfaces. 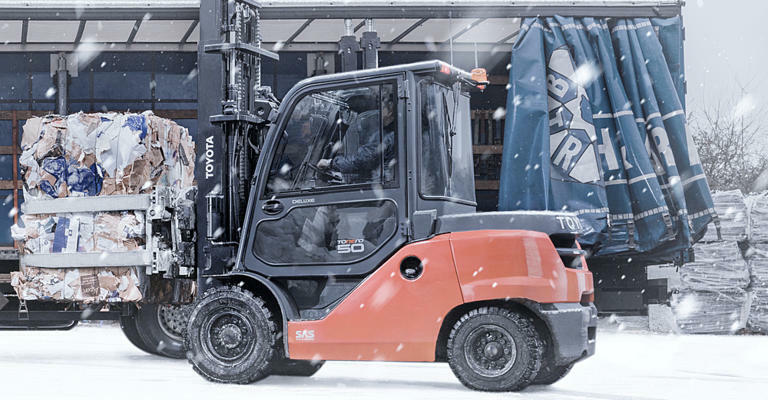 To stay warm and protected while driving, weather-proof cabins on your outdoor forklifts will do the trick, or you can opt for a forklift cover instead. While working, always keep poor visibility into account and make sure all lighting is functioning. Safety is important in every operation, but even more so during this time of year. Try to start each shift with a series of checks to ensure that all equipment is safe to operate. You can simply follow the supplier’s recommended daily/weekly checks as outlined in the operator’s manual. 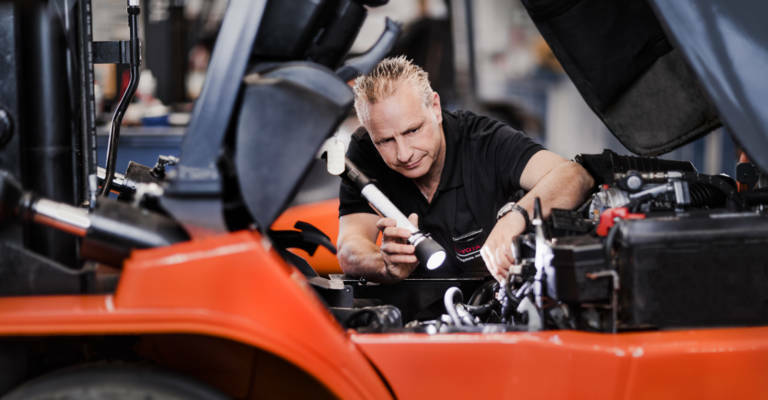 Also check fuel and fluid levels, and allow the forklift to warm up properly, which is important for the engine as well as the hydraulics system. During winter your trucks require some extra maintenance more than ever. This way you can rest assured your equipment does not break down due to the cold. Questions? Contact us and we’ll get you ready for the cold.